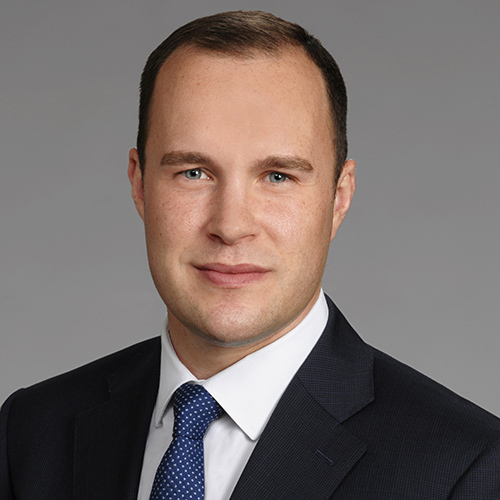 Martin Stratte is an attorney in the Firm’s Government, Land Use, Environment & Energy Department and a member of the Natural Resources and Mining Group and the Construction and Building Materials Group. Martin assists with the entitlement of complex projects throughout California with an emphasis on projects for the mining, construction, and building materials industries. He provides assistance with the preparation of environmental documents in accordance with the California Environmental Quality Act (“CEQA”), the National Environmental Policy Act (“NEPA”), and the state’s ever-changing greenhouse gas ("GHG") emission and climate change regulations. He also defends the entitlements when challenged through litigation and, in addition to mining projects, has previously defended the entitlements for multiple Supercenters, several million square feet of warehouse and distribution centers, and large residential projects. He has trial experience, maintains an active appellate practice, and regularly publishes articles on issues that impact clients and their industries. Martin also has experience with: administrative and regulatory enforcement actions; airport land use compatibility plans; the Bureau of Land Management surface management regulations; brownfield redevelopment; California Fish and Game Code section 1600 Lake and Streambed Alteration Agreements; Clean Water Act section 404 permitting and section 401 certifications; conservation and mitigation banking; eminent domain actions and condemnation proceedings; the federal and state Endangered Species Acts; the Federal Land Policy and Management Act of 1976 (FLPMA); historical and cultural resource assessments; the Mining in the Parks Act and its implementing regulations; and the Surface Mining and Reclamation Act (SMARA). When outside of the office, Martin enjoys cooking, skiing, and playing competitive ice hockey. Drafted briefs in two CEQA actions and the subsequent appeals filed in opposition to a large residential development that was approved (ministerially) in 2015 through an environmental impact report that had been previously certified in the 1980s. (27 Cal.App.5th 771 (2018); 2017 WL 6274420). Obtained summary judgment on behalf of a large egg and poultry ranch in a complex, years-long environmental action in which the plaintiff sought significant damages as a result of the alleged contamination of organic farmlands. Drafted and argued a motion for summary judgment that was based on the Raw Supplier Doctrine, as adopted in Artiglio v. General Electric Co. (1998) 61 Cal.App.4th 830.